Do you fit the bill? Fill in the form and touch base! Feature in the publication of the millennium, #CreatepreneurAfrica! 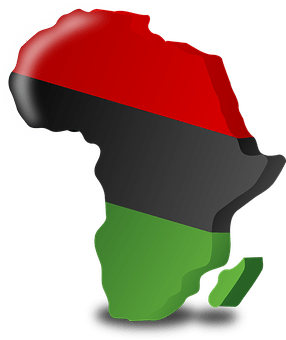 My mission to continue an everlasting journey for the publication of the millennium manuscript seemed to be turning into a never-ending mission with a series of #CreatepreneurAfrica sequels in continuous motion…….. I came into contact with Lalah Raindimby , a native of Madagascar, she hails from the southeastern portion of the Island country in an area called Fianarantsoa. She is from the ethnic Betsileo group in that country. Betsileo are widely known for their special artistic creativity with own traditional dialect called Horija Betsileo. Lalah is the second generation musician and vocalist being the daughter of region’s Famous legendary artist Known as Raindimby. Raindimby is credited with making this unique form of music widely known throughout the country and beyond the borders of Madagascar. LALAH,tell us what drives you? What is your true passion in life? My true passion is my music. For me, music is a means of expression of life as a human being. Performing the folk and cultural music of my homeland allows me to keep my heritage close to me and to build upon the legacy of my dad and other noted performers of his generation. The music gives me motivation and strength in life. At a very young age, I think I was six years old when I observed my dad and other family members rehearsing for a performance in the house. I began to sing. By the time I was a teenager my dad invited me on stage to perform with him. I joined him on many occasions and found that performing was enjoyable and the audience response was encouraging. From that time until the present music has been a critical part of my life. My first love and my passion. I find that when I am engaged with the music I become spiritually transformed and purely focused on my music and forget about the troubles of the world. As a teenager performing with my father and realizing that my father was singing as professional and making money from his performance that he shared with me and I realize in addition being spiritually gratifying I could make money as a professional singer. As a teenager performing with my dad. The memory of my late father and reflecting on the sacrifice that he made to expose the musical tradition Horija Betsileo of our people to the entire country and beyond. I have in effect become an Ambassador to keep that musical and cultural tradition alive and pass it on to the next generation. I must continue to strive in those ideas which are dear to me and I cannot allow them to stop me from perusing my goals and dreams. Well, you are going to face lots of challenges but don’t give up on your dreams and your passion, just believe in yourself and work hard to achieve the goals you have set for yourself. Get ready for Right Brain Marketing- CreateprenuerAfrica# ,starting up in the southern region of Africa! Rainforests and the incredible animals. Parc National de L’Isalo is one of the country’s most spectacular regions, perfect for overnight hikes, rock-hopping along cool canyons and spotting lemurs. It’s best to visit during the cooler months (April to October) when the bizarre patchy podiums and periwinkles are in flower on the rock faces and walking is more comfortable. The Sakalava people used to bury their dead in caves high up on cliff faces. Spread across 152,000 hectares, the Tsingy de Bemaraha Strict Nature Reserve has amazing forests, lakes and mangrove swamps, home to a variety of rare and endangered birds and lemurs. With gorges, rivers, and Ancient cemeteries Tsingyis a must visit. But Madagascar isn't all just animals and conservation. There’s a lot of history going on down as well. Ambohimanga is one of the summer palaces of the old Malagasy royal family. Antananarivo, or Tana, has a distinctively French flavor: The city is built on three levels. Dominating the city is the Queen’s Palace and associated Royal Village or Rova. Now a national monument, it was once the residence of the Merina Dynasty which, in the 19th century, united all Madagascar for the first time. There are the museums d’Andafiavaratra and the archaeology museum. On the lowest level is the market said to bee the second-largest in the world. The birthplace of the Malagasy state. Ambohimanga is known as ‘the blue city’, ‘the holy city’ and ‘the forbidden city’. The citadel was an important Merina stronghold and its main gate is an enormous stone disc; 40 men were needed to roll it into position. Or else you can check out the old pirate colony island of Ile St Marie. Its dense vegetation and the difficulty of navigating the lagoons which surround it made it an ideal base for pirates and, later, a colony for convicts. There are many clove plantations and several historic sites, including Madagascar’s oldest Catholic church. It’s the perfect destination for those who just want to relax. You can snorkel, sunbathe and overindulge on coconut rum punches. Buy cinnamon, vanilla and coconut oil from the local children, sip fiery ti-punch and sample the most delicious freshly-caught seafood or sit under a palm tree on a white sandy beach. There’s whale-watching in July and August, and the amazing spiny forest along the road just north of Mangilly is well worth a look.With coral reefs just offshore, sea breezes whispering in the casuarina trees and a relaxed tropical ambiance, who wants to go home? Check this out. Air Madagascar, serves numerous destinations throughout the country, which is a good thing considering that many roads have huge potholes and are impassable in the rainy season. Flights are still relatively inexpensive and they offer a 50% discount on domestic flights to passengers using the airline to travel to Madagascar. The taxi-be, which is quick and comfortable, and the bush taxi, which is cheaper, slower, makes more stops and generally operates on cross-country routes. Fares should be agreed in advance. It is a flat fee. Alternatively, you can go via bus bonus a flat rate is charged irrespective of the distance traveled. Alternatively, take the House-pousse – the rickshaw. If you are feeling adventurous, you can grab a stagecoach. A few covered wagons continue to take passengers. Otherwise, you can hire a car or motorbike. You will need a national driving license, and remember they drive on the right-hand side. Or you can catch a train! Only if you have a lot of time. The Malagasy railway network dates from the colonial period, so breakdowns are frequent, a line may be closed for several weeks. However, there is nothing to beat messing around in boats. Madagascar has a strong maritime tradition. Ferries sail between the islands. You can travel between coastal villages in dugout canoes known as Pirogues or Lakana. You can also hire Dhows and larger cargo boats. And if you want to bareboat, a “guide” is usually included in the price of the yacht charter. He will cook, guide you, and protect the boat. A yacht charter to Madagascar is a bit of a “Robinson Crusoe” adventure. Once you embark, you cannot provision again and must live off the fish and seafood you will catch for yourself (or with your guide). So get a good one. Madagascar is a great place to tour by bike and staying in small towns and villages along the way gives a real sense of what the country is all about. A mountain bike or heavy-duty tourer at least is required as the roads can be in poor to terrible condition. Generally, there is little to no traffic, which makes cruising a great escapade. The people are amazingly friendly and you will be greeted with crowds of children shouting ‘Vazaha’. There are little or no facilities for cyclists, so be prepared to camp rough (ask if it is somebody’s land and never too near a family grave) or sleep in very basic guesthouses. Though you will generally be invited to stay in people’s houses. Bring a spare tire, puncture kit, chain, brake/gear cable, derailleur, and all the tools you need. Remember that the law is that the ‘tour’ operators have to have a contract with you with all the details on it including the route. The police do check on this and it protects the tourists. All visitors must have visas, except for citizens of some African countries. Proof of return ticket is required otherwise a deposit must be paid before arriving in Madagascar, which is equivalent to the cost of a flight to the country of origin. And if you come from Africa, you must have a yellow fever vaccination certificate. Electrical Power is 127V/220V, RUNNING AT 50Hz. Hot and subtropical climate, colder in the mountains. Rainy season: November to March. Dry season: April to October. Monsoon season is December to March. .. And when you've had 16 tracks of Malagasy hospitality, the last thing you'll be feeling is lonely - except perhaps when you arrive back home. Burnt the rice? No problem. One common Madagascar dish is Ranon ‘apango or rano vda. Burnt rice water. Malagasy cooks double the quantity of rice they need for the meal. When it’s cooked, they remove most of the rice from the earthenware pan. The remainder (a layer about 1/2-inch thick) is heated until it’s burnt. Then pour boiling water over the rice. Cool, strain and chill. The majority of people don’t speak English, so brush up on your French which is the second official language of Madagascar. Otherwise it’s Malagasy all the way. The Madagascar music experience is like Forrest Gump’s ‘box of choc-o-lates’: you never know what you’re gonna get. But locals retain a fondness for the usual African favourites: reggae, rap, chart hits, French pop, gospel, music, heavy metal, jazz and reggae Congolese Lingala and good ol’ country music. Africa’s biggest homegrown reggae superstar, Lucky Dube is even bigger here than the godfather Bob Marley himself. The best thing to come out of Madagascar since the lemur is the music. Malagasy music rocks. the rhythms are tight. They combine virtuoso traditional music, tight harmonies, buoyant grooves, infectious melodies, wild instruments, energetic dancing along with challenging, controversial subjects with the energy of punk rock. Malagasy hip hop broke into the mainstream in the mid-nineties and has skyrocketed. If you’re not a rug-cutter yourself, sit back with a Three Horse Beer and watch all the girls line up and bust their moves in front of the mirror (yes, every club has at least one). And then, just when you think you’ve got a handle on ‘Gasy clublife… Glenn Miller – ‘In The Mood’…this happens.in absolutely any club, anywhere in the country, you can guarantee that at some point the music will suddenly segue into jazz dance and the whole crowd will burst into energetic and clearly practiced swing and rock ‘n’ roll routines. Learn a few steps and you’ll probably make friends for life. And the music isn’t just music. It’s got a big history of political power. Hiragasy troupes were used during the French colonial administration to communicate decrees. Now musos like superstar Rossy’s 1995 song “Lera.”, mobilizes popular support for political efforts. Malagasy revere ancestors, and ignoring the dead could bring bad luck. Someone who refuses to turn the ancestors denies his identity as a Malagasy. And if the ancestors can intercede with the Creator to bless the living with wealth, health, and happiness or, if mistreated, curse them with unemployment, disease, and misery. People lead good lives so that they, too, will be honored as ancestors some day. In some famadihanas (funeral traditions), the families take the bodies on a stroll through town, to show the ancestors what is new, and introduce them to children born since they left the tomb. The thinking is that, to help the living, the dead must be familiar with their lives. Ringed by golden beaches and palm trees Madagascar - the 8th continent- is the fourth-largest island in the world. Madagascar promises lush rainforests and rugged, ravine-riven mountains teeming with lemurs and other unique species found nowhere else in the world. Madagascar promises crystal-clear seas with beautiful, untouched palm-fringed beaches. It promises culturally exotic people with laid-back island-style friendliness. It promises the freshest most sumptuous seafood spreads and deliciously strong local rum cocktails. Resplendent with grassy plateaus, to volcanoes. 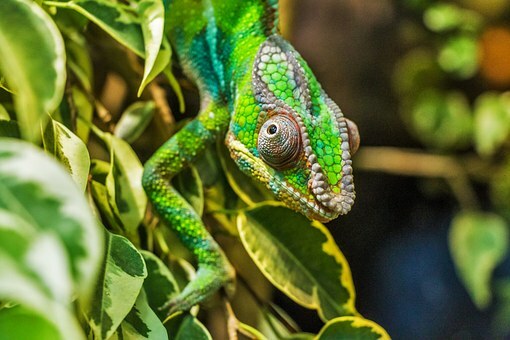 Seething with opaque forests and natural reserves, Madagascar dazzles with its rich wildlife. Many of its unique species are found nowhere else on earth. biodiversity wise. Madagascar is one of a kind. Madagascar isn’t just a country. It is a state of mind, and you got to get yourself into it. Travelers need to feel the heat, taste the buzz. It’s not just marketing and monkeys. Local legend says that the Vazimba, a race of white pygmies were the first Malagasy. But it was the Malay-Polynesians, who crossed the Indian Ocean, along with their rice, in the sixth century. In the ninth century, Marco Polo pulled into Madagascar and found that the East African slaves, Arab, Indian, Dutch, British traders, and French colonists had turned Mad into THE major trading power in the western Indian Ocean. So much so, that when the European governments were just saying no to piracy in the Caribbean, more than 1000 English, French, Portuguese, Dutch, American and other pirates contributed booty, buried treasure, and genes to the island’s population. It was a fantastic base to attack ships rounding the Cape of Good Hope. How many endemic species of butterfly? 10 000 - 90% are found nowhere else in the world. More than 100 kinds of tropical birds that exist nowhere else in the world. And the biggest bird was? 10-foot tall ostrich, weighing 1,000 pounds which laid 20-pound eggs. Whether you are into wildlife or nightlife, magical, malodorous Madagascar is the land that time forgot. From dancing lemurs to absurdly colourful chameleons, geckos, and lizards; tenrecs, spiny hedgehog-like creatures that communicate with its young by vibrating its spines. Flightlessness, fearlessness, gigantism, dwarfism, and survival of ancient species all happened here in this evolutionary laboratory. 160 million years ago, Africa, Australia, New Zealand and South America were united in the supercontinent Gondwana, until it split up. Left alone – with no carnivores or omnivores to deal with, Madagascar went it’s own unique way. Like Lemur’s, which are found nowhere else on the planet! If Some 45 species of lemurs live here from the world’s smallest primate, weighing about 1 ounce, to a lemur the size of a Gorilla. The thing is, humans quickly went to work on the island’s lemurs, reducing the number of species by at least 15. So you need to get there soon. 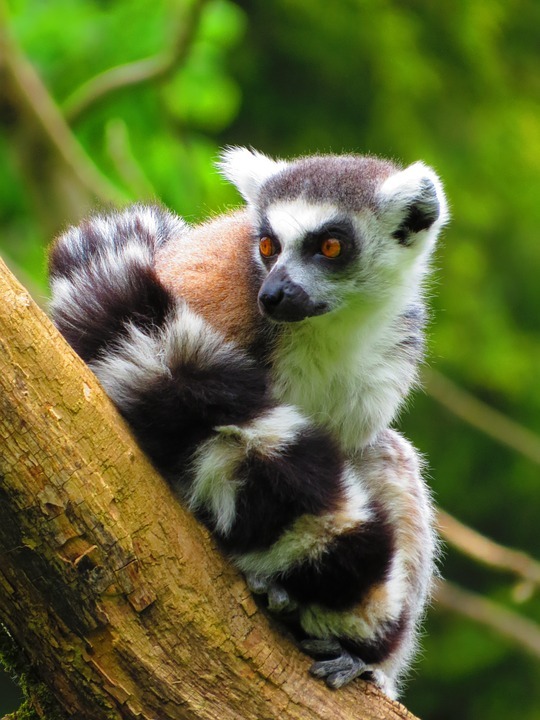 Madagascar is also the world’s leading example of conservation. In spite of extraordinary pressures from a poor population that relies heavily on forest burning for basic subsistence. Koloina Zaza, Koloina Zaza. The melodious tune had an echoing effect , leaving a mind ringtone of peace and harmony in my soul. It reached out to me on travels at so many getaways. I first came across a banner being held up on the streets of Madagascar. I never knew that the person I encountered and assisted in her endeavor to hold up the banner in the strong and persistent winds was none other than Lalah Arielle Lalah Razafimandimby and her sister Lanto Razafimandimby. Their lyrics fuelled my soul. She told me that Koloina Zaza means nurturing children. She made me aware of the dire need in Madagascar to raise new generations. Lalarintsoa Razafimandimby hails all the way from Madagascar. She is a keen traveller who took on a mission to bring change to the land of her origin. She and has lived and travelled to all parts of the world igniting a sparkling awareness of her Malagasy roots Lalarintsoa is a vocal artist, with a talent she inherited from her late father, the legendary Malagasy singer Raindimby. 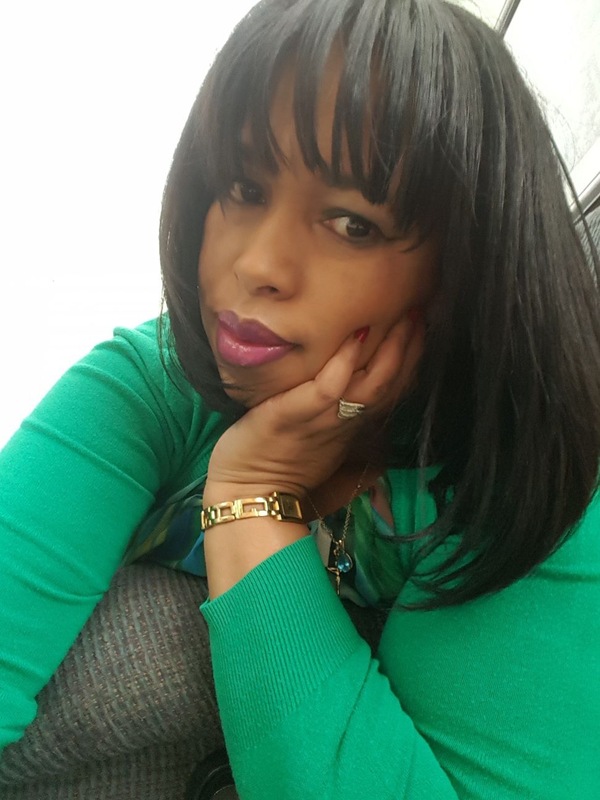 Lalah has used her skills as a stepping stone into the humanitarian deeds. Her calling to the Malagasy homeland was always rooted in uplifting Madagascar and triumphantly making a difference. The vision of Koloina Zana was clear-cut, dealing with basic needs like daily health, keeping free from hunger. Furthermore, growth and development of education was the core for developing Madagascar to the deserved utmost. Social ills that plagued society needed to be eradicated. The Koloina Zaza mission with a purpose launched. The larger than large mission was not impossible. Lalah joined in unison with Universal Human Rights Network a Washington-based NGO to launch a campaign to raise funds for the youth and children of Madagascar and overcoming the obstacles of hunger, homelessness, exploitation lack of access to education and healthcare, offering Hope to a new generation. Universal Human Rights Network came on board of the Koloina Zaza programme working together with Malagasy citizens and their families. The Koloina Zaza mission has launched. A call out to all volunteers, sponsors and fundraising outlets. Traditional music of Madagascar….Where do we begin to define it? We have the Austronesian influence on one side, and then Arab, African and European populations ingestion. The variety makes it impossible to specify origin of  unique Madagascar tunes   that rhythmically echo on on for a millennium. The internet has given the pathway for a refreshing and reawakening of Madagascar music.The sacred and secular music alleys may be the sounds of a ritual or even used for animating teenage games in villages. The Kingdom era has evolved into current day modern applications of melody replacements and trending pop culture in the cities. The rhythm of Madagascar language is innovative tunes in versions from every direction in the Madagascar landscape. Local artists in remote villages retain traditional rustic sounds. The music reflects the history of communities and is not strive for stardom. The cities have interposed rhythms on traditional genres and incorporated spectacular innovation in electronic sound. The complex mosaic of Madagascar is made up of a 22million population with 18 ethnicities. There are six provinces.The culture and common language is spoken throughout the land and the term of ethnicity has been abandoned making way for ‘human group’ gathering in rhythmic unison. The Sakalava dominated the West in music influence. The Merina in the central highlands and Betsimisaraka in the east mark rhythmic variations. Áfindrafindrao is an ancestral tune that was danced in quadrille adopted in the 19th century by Merina Kins and later influenced every part of the big island. The strongest group in the South, the Antandroy, preserve musical tradition, the contemporary musicians from this group are the most recognized groups internationally. In the north, a special contribution was made to Madagascar traditional music by the Antahkarana. The most festive part of Madagascar favoured by vegetation and the climate. Madagascar musical footprints include the Tanala., Bestileo, Bezanozano, Bara, Masikoro, Tsimihety, Antesaka, Sihanaka, Antemoro, Vezo, and a stream of others. Traditional music instruments are the Valiha (zither pipe) and marovany (box zither). These are the most played. It is a legacy of the Mlayo Polynesian heritage. Rice seed filled rattles are next called kantsa, koritsa or korintsana depending on the region. There are four main categories in traditional Madagascar music. Aerophones, Idiophones, membranes and string. The common basis for traditional singers and musicians come from the influence of European, Arabic, Africa, and Austronesian contribution. Traditional ceremonies at ancestral ceremonies and possession rites are common. Music at funerals, marriages, circumcisions, initiation rites victories and pleasures are commemorated with traditional music where masses gather. Traditional musicians in Madascar are self-taught, orally and by listening. Malagasy music is filled with rhythms that rock. Combinations of traditional virtuoso music alight tight harmonies with buoyant grooves in infectious melodies. The wild instruments and energetic dancing along is a groove not to be missed. Malagasy hip hop entered and skyrocketed since mid-nineties and has skyrocketed. 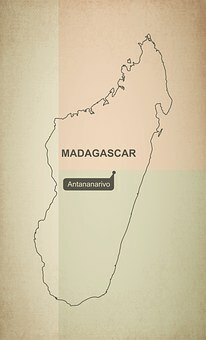 Madagascar inhabitants are comprised of a combination of arrivals on the island almost 2000 years ago. They came from regions from all parts of the world like Arabia,India and the African continent. These early settlers became the pioneers of Madagascar culture and society created an amalgamation of religion, culture and tradition. Modern Madagascar is a perfect blend of traditionalism and modernism. Malagasies take pride in style and appearance and fashion design is in a sense actually indigenous to the island of Madagascar. Lambas are made with yarn spun by hand from natural silk. The dyed yarn is hand woven and the silk used is indigenous to Madagascar. Accessories and clothing are palettes for creativity. Every village and town in Madagascar have people sporting the most exquisite traditional garments along with some imported style. 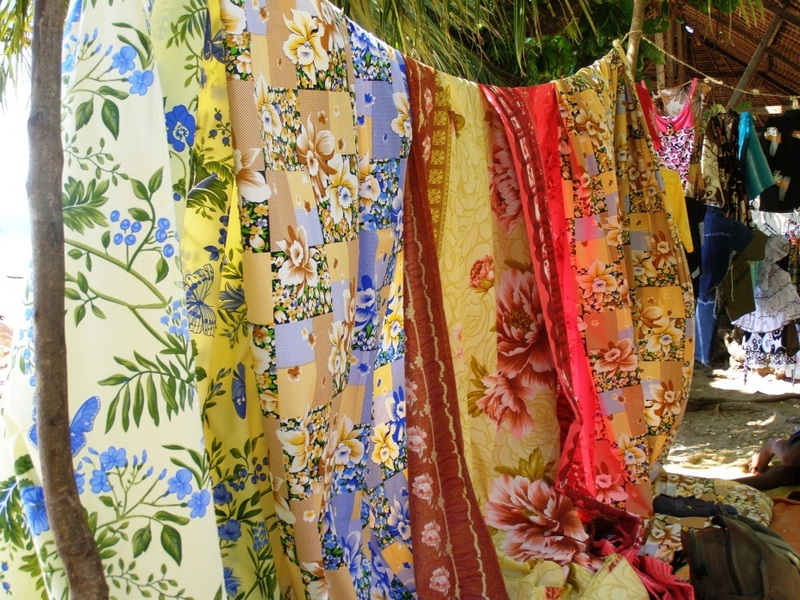 Malagasy indigenous fashions are created from Raffia fabric and Lamba garment and raffia fabric and weave. Extraordinary and versatile made in various brilliant patterns and colours. The Lamba is traditional dress in Northern Madagascar, “Lamba means cloth but refers to matching fabrics around the waist and around shoulders. Is some sections the Lamba is usually worn by men as ceremonies like offerings and burials. 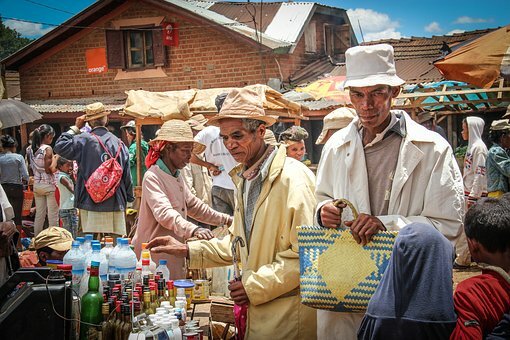 Old men in rural areas on Madagascar plateau areas wear them more often. Unlike men, many women wear Lamba at all occasions. Traditional Lamba is used to brighten contemporary jackets and pants and as accessories to western style clothing. A creative outer garment replaces sweaters or jackets and there is a wide variety to creates unique personal style. Malagasy decorative fashion has developed into the Kreole fashion scene. The Malagasy mix of creative indigenous fabrics blending in with accessories from neighbouring African countries and Eurasia. The distinctive African flair in a Eurasian flavour. Malagasy designs are cutting edge fashion styles with a blending combination of Asian garments and European hairstyles. Design and textile artists from Madagascar make a bold presence on the global fashion scene. Madagascar design and textile artists shine out in the world of fashion making a bold trailblazing presence on global fashion and entertainment stage.